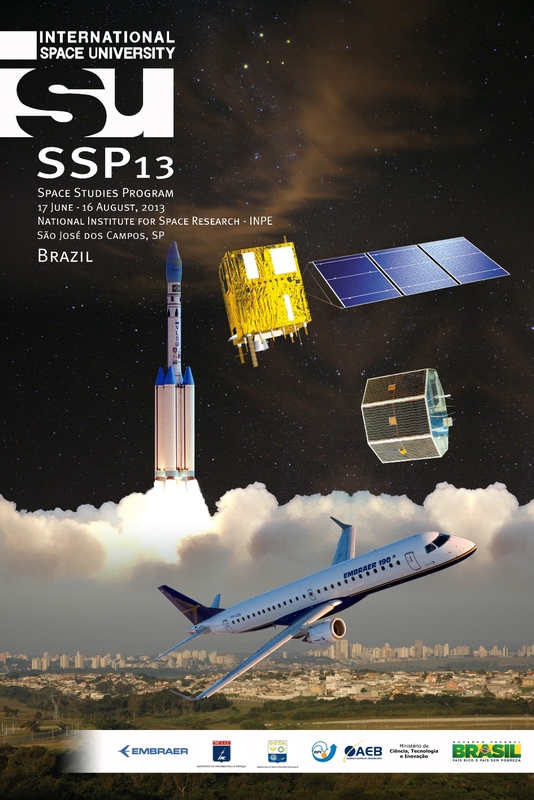 ISU is proud to announce that the 26th annual Space Studies Program (SSP) will be held at the Instituto Nacional de Pesquisas Espaciais (INPE) campus in São José dos Campos, Brazil in 2013. The dates of the session are 17 June through 16 August 2013. One of INPE’s strategic goals is to become a National and international reference in both space and earth environment fostering knowledge and attending and anticipating demands on Brazilian society life quality progress. “We are delighted to hear the news of our selection! INPE and the city of São José dos Campos will do their best to fulfill ISU’s expectations. Definitely, it will be an important opportunity for the Brazilian Space Program to bring together our community of Institutions related to space, allowing for more interaction, global cooperation and to motivate our people to be always attentive to the technology frontiers for our industry” says Dr. Gilberto Câmara, Director General of INPE. ISU provides an interdisciplinary education in the context of an intercultural and international environment to support the development of future leaders in the world space community. The SSP offers its participants a unique and comprehensive education covering all aspects of space programs and enterprises including space physical sciences, space systems engineering, policy and law, business and management, space and society, satellite applications, and space life sciences and human spaceflight. Each summer ISU offers this intense nine-week course designed for post-graduate university students and professionals of all experience levels and disciplines. The site of the SSP changes annually, making it a unique educational concept and building on the fundamental ISU tenant of an international experience. The SSP core lecture series serves as the foundation on which the more in-depth activities undertaken in the seven departments are built. The team projects provide the participants with an international and intercultural team working experience wherein they must not only refine the topic as a team, but also produce professional quality reports and final presentations, all in the span of a few weeks. The National Institute for Space Research (INPE), linked to the Ministry of Science and Technology, aims to produce both science and technology related to the space and the environment, besides offering innovative products as well as services in benefit of the Brazilian society. Founded in 1961, in these 50 years INPE has been developing the research and technology in the space field activities with studies ranging from the deforestation of our forests to the origins of the universe. INPE is now a national reference in Remote Sensing, Weather, Space and Atmospheric Sciences, Engineering Space Science and Technology and Ground System. As an executor of the projects of the Brazilian Space program, INPE has been an important vector also for the industries modernization, whose performance is giving the country a prominent place in the international space scenery.